Think of Greece and the first thing that comes to mind is its incredible islands – there’s more than 227 inhabited islands, all with their own unique ‘feel’, architecture and fascinating histories spanning thousands of years. Our Ionian Island Odyssey visits some of most beautiful islands in the Ionian, and as we’ll be travelling by sea on our own wooden schooners, we’ll have the added advantage that we can seek out idyllic coves and villages still relatively untouched by the modern world. All the Ionian islands were occupied for several hundred years by the Venetians, and their influence is still evident in the Italianate style of the houses, the food, and the fortifications built to repel pirates and the Ottomans. For about 50 years in the 19th century the islands fell under British protection and they have been a welcoming destination for British travellers ever since. Our tour starts in Kefalonia, Greece’s sixth largest island, known for its Robola wine and high limestone cliffs falling into azure seas. We’ll visit two of its prettiest harbours at Fiscardo and Assos, the latter overlooked by one of the largest fortresses in the region. Separated from Kefalonia by a narrow 4km channel, Ithaca is a world apart – its mountainous spine and few roads have kept out large hotels and although the charming main town of Vathy is a buzzy little place, it’s not difficult to imagine how it looked in the distant past, when Odysseus and Penelope ruled the land. Lefkas is covered in verdant hills, with high white cliffs on one side and a myriad of tiny coves and bays on the other. The island has some of the most protected harbours in the region and is justly popular amongst sailors who come to enjoy its clear seas and wonderful harbour-side cafes. South of Lefkas we’ll sail by the tiny islet of Skorpios, once the family home of Aristotle Onassis, who is buried there. 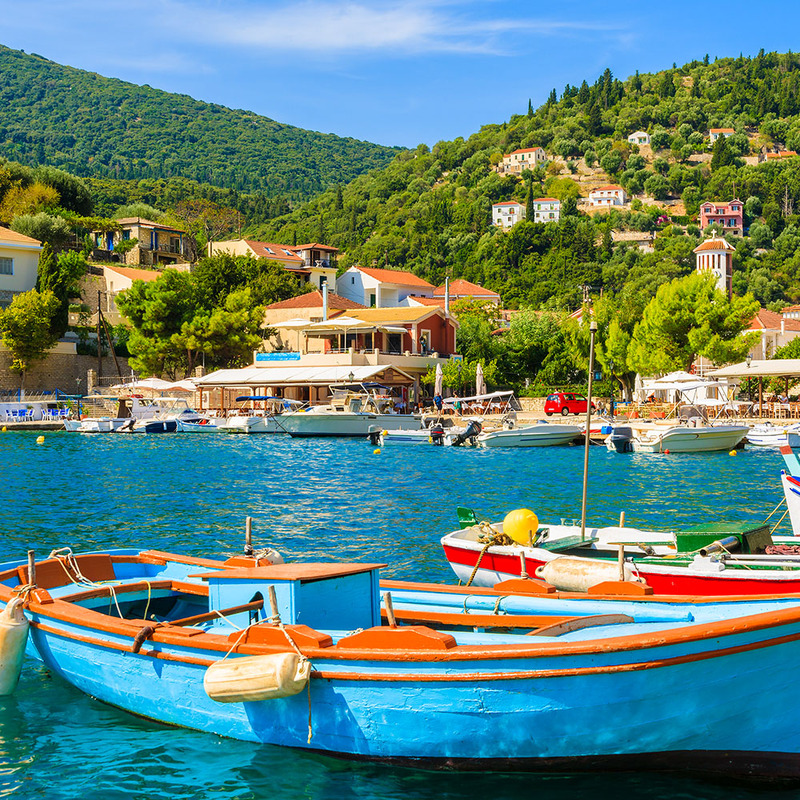 Less well known are the nearby islands of Meganissi, Kalamos and Kastos – with few permanent residents, these are places where time really does seem to slow right down. Our tour doesn’t visit busy towns or ancient monuments – it’s for those who just want a genuinely relaxing, informal and convivial break and to appreciate the simple pleasures of azure skies, emerald seas, simple fresh food and warm, star-lit skies. Arrive at the airport for your direct flight to Kefalonia. On arrival, we transfer by coach to the port of Agia Efimia to board our home for the next seven nights, the MV Aphrodite & MV Harmonia. 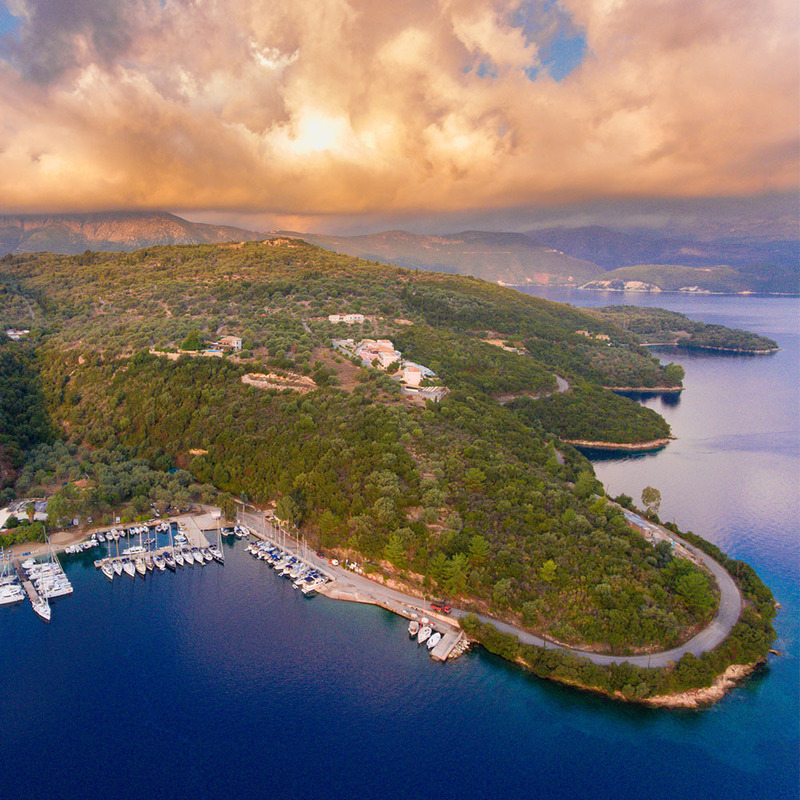 The rest of the day is at leisure to settle into your ship and explore the charming little resort of Agia Efimia, set in a wide picturesque bay. This morning we set sail northwards, motoring along the narrow channel which separates Kefalonia and Ithaca. We stop for a swim at Antisamos beach, where some scenes from the film of Captain Corelli’s Mandolin were filmed. 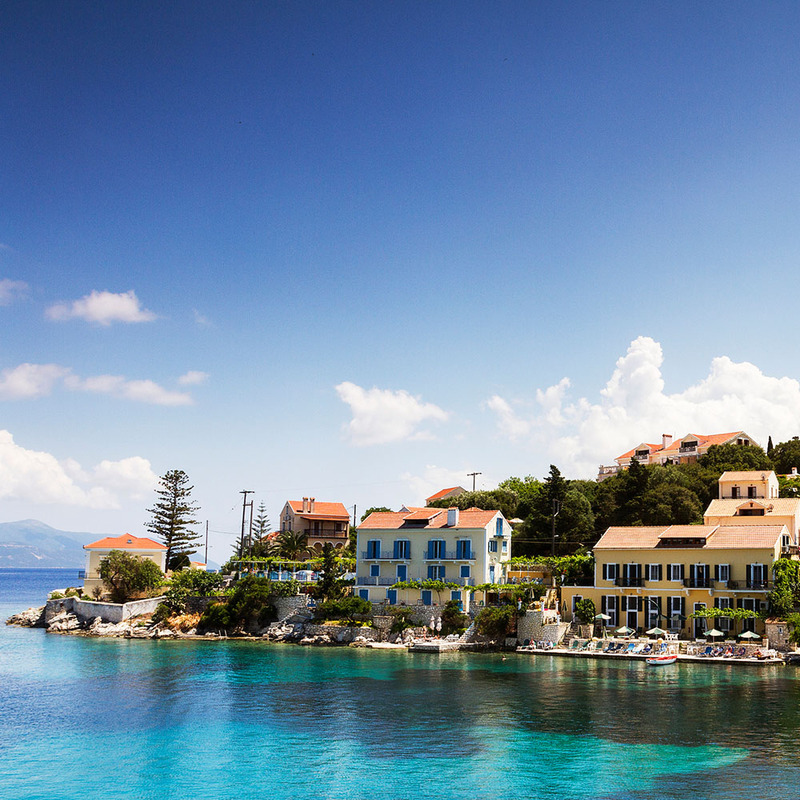 After lunch on board, we arrive at Kefalonia’s northernmost point, the picturesque harbour of Fiscardo, full of charming mansions and villas. The small bay is popular amongst the yachting fraternity and is renowned for some of the best tavernas on the island. After breakfast, we set sail for the island of Lefkas. After a swim stop in Sivota Bay, we continue to the delightful bay of Nidri where we stop for the evening. 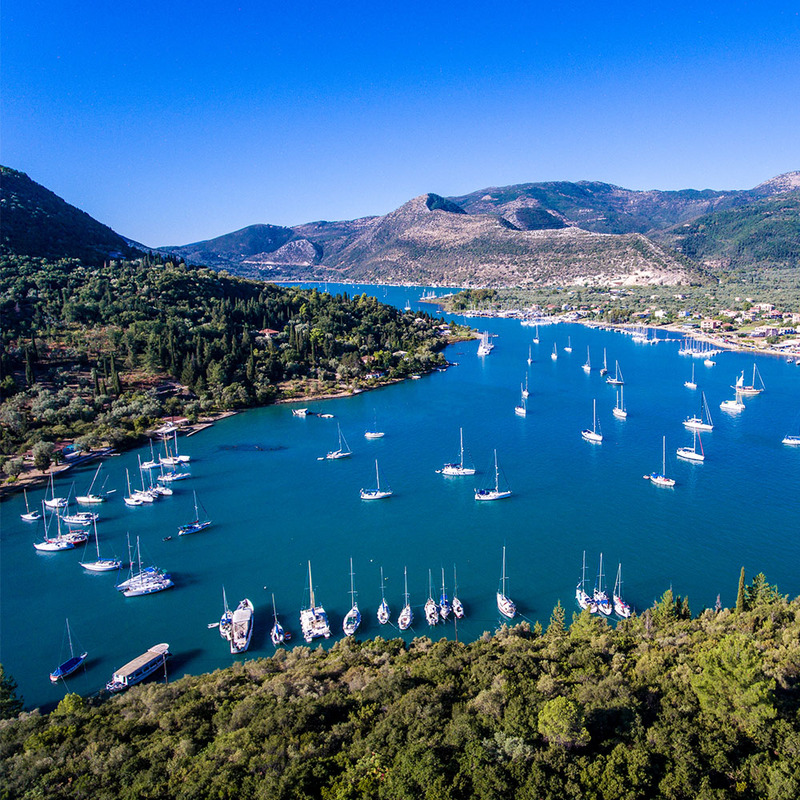 Nidri is another popular yachting haven, set around one of the most protected bays in the region and surrounded by olive groves and pine-covered hills – simply stunning! The friendly little town stretches along the waterfront, full of tavernas and cafes that spill out on to the streets and harbour. Today we’ll cruise around the small island of Skorpios, once the private retreat of the Greek shipping magnate, Aristotle Onassis and where he married Jackie Kennedy. The 74-acre island now belongs to a Russian billionaire! We continue towards the oddlyshaped elongated island of Meganissi. Lying just six kilometres south of Lefkas, this sleepy island has some wonderful pebbly beaches. The village of Vathy only has a few tavernas, but it’s a wonderful spot for an evening meal with the harbour lights twinkling above. We are really off the beaten track today, visiting the twin islands of Kalamos and Kastos. Both islands have a tiny number of permanent inhabitants and an untouched landscape with breathtaking clear seas and bays. Tonight, we enjoy a BBQ on board under a warm, starry Mediterranean sky. After breakfast we turn westwards towards Ithaca. On the way, we’ll stop for dip in the crystal waters of the small barren island of Atokos, home to just a few rabbits and goats! We’ll continue for a short stop at the pretty village of Kioni on Ithaca, before turning into the long, almost enclosed bay of Vathy, the main town. 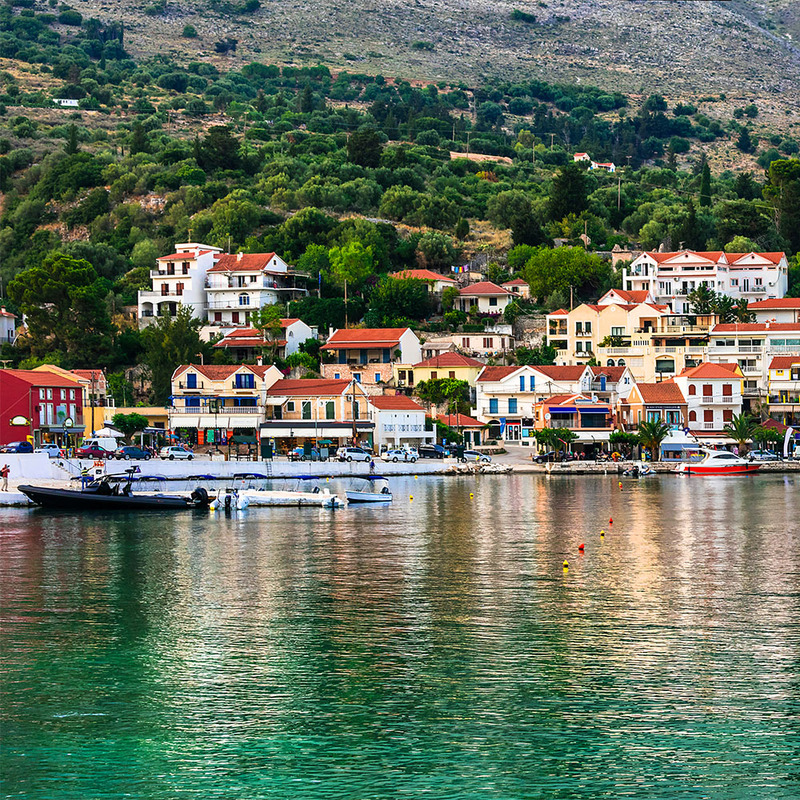 With a mountainous spine running the length of the island, the villages of Ithaca have maintained an unspoilt, oldworld feel. 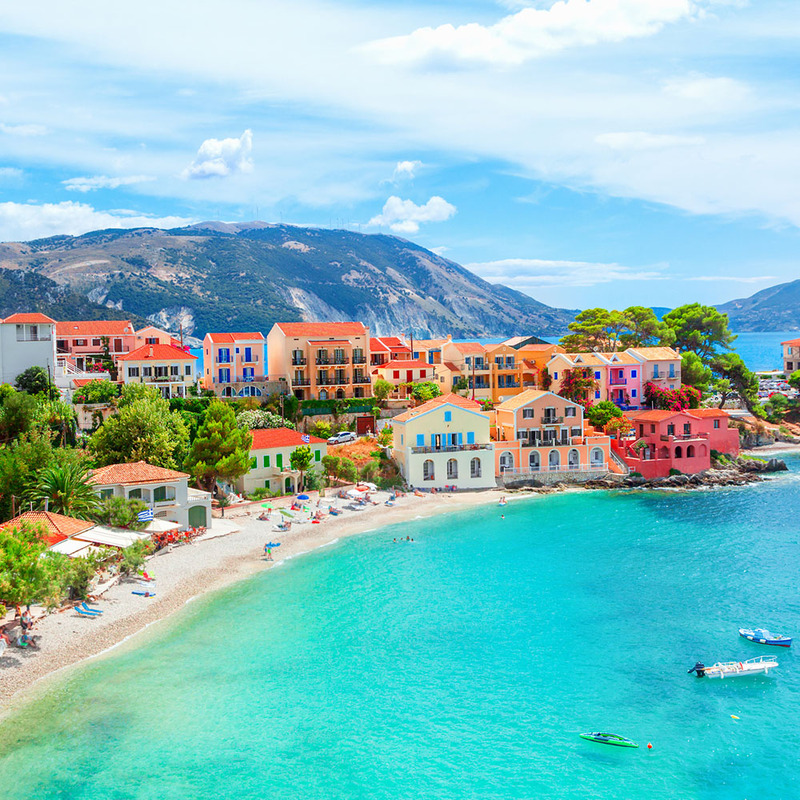 Heading back to Kefalonia we sail down the west coast with its high limestone cliffs and stop at the charming village of Assos dominated by a huge 16th Venetian castle overlooking one of the most beautiful bays on the island. The lovely pastel-coloured houses are reflected in the clear emerald waters of this charming cove and make it one of the most photogenic spots on the island. The price of this holiday is per person based on two people sharing a cabin. Single cabins are available subject to availability at the appropriate supplement. The price includes return flights, seven nights’ accommodation with breakfast and lunch daily, plus one BBQ dinner, all local taxes and transfers, all tours as mentioned and the services of a Riviera Travel tour manager. These two wooden-hulled, almost identical twin-masted schooners were built in Turkey and are ideal for inshore cruising around some of the best sailing areas in Greece. Both have spacious open decks, ideal for sunbathing and informal drinks and lunches. With a maximum of just 16 guests and three crew on each boat, you can be assured of excellent personal service. All meals are served on the spacious aft deck, starting with a simple breakfast of pastries, cereals and fruit, followed by a relaxing buffet lunch, always prepared with fresh local ingredients. The deckhouse has a fully stocked bar and space to dine inside, should you wish. Complimentary tea and coffee are available daily. Since we will always overnight in port, you are free to find your favourite taverna for dinner. All cabins have either twin or double beds (some triples are available), are simply furnished and very compact with small portholes and private shower/WC. The air conditioning on-board is turned on as long as the generator is working. This will be switched off overnight to ensure a quiet night for all. Although the ships do carry sails, it is rare that they will be used and in most cases we will use the motor. In some instances, our ships may moor in the bay/harbour rather than dock by the quayside, in which case you will be transferred ashore by tender. 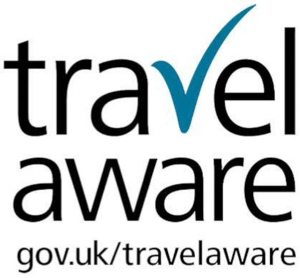 The published itinerary is subject to change depending on wind and weather conditions and the order of places visited may be changed.